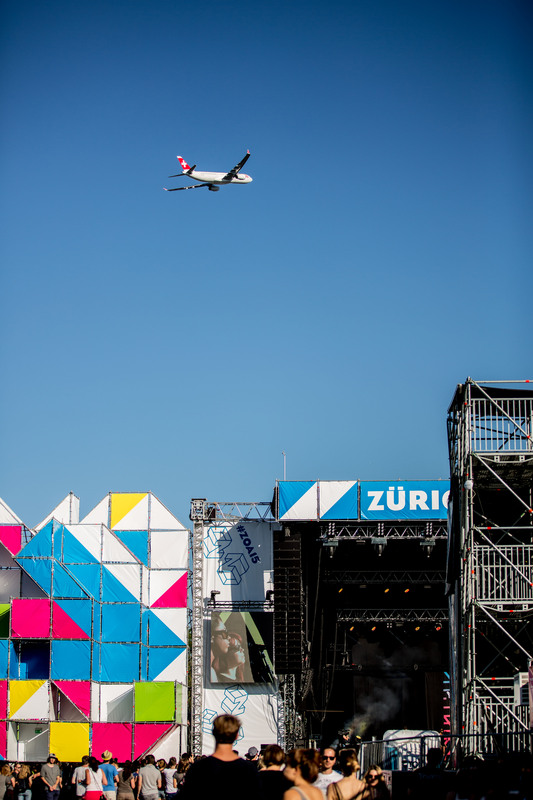 Zürich Openair is situated in Glattbrugg, not far from Zürich Airport so that frequently planes just fly above the Blue Stage making the audience look up and I guess people on the plane look down! We flew as high as planes thanks to the music which accompanied the four days of this beautiful indie-electro festival. Let’s kick off with the first one! I managed to catch the very end of Years&Years and probably their most famous song! They have some great synth pop vibes! Wolf Alice start their set with heavy guitar riffs bringing the audience straight into their alternative rock! The voice of the female singer is angel-like, almost spectral. I must say I preferred their slower tunes as they left more space to her beautiful voice to be heard. Not sure if it was because the other instruments were too loud or what, but I couldn’t hear much of her voice in the livelier tunes. The four guys of Alt-J are on the same line on stage: piano, guitar, bass, drums. They produce clear sounds and they play a type of music which makes you chill at times and makes you want to swing at others. The great voice of the singer as well as the back vocals of the other members set a nice atmosphere in front of the blue stage. Mixing exotic elements like the bongo drums fixed on the drummer’s set and a fine touch of electronic music Alt-J remain indie creating a sound which is far from being mainstream. Carl Barât and Pete Doherty are quite a thing together on stage. In some moments they seem to have a separate conversation on stage then they light a cigarette and get back playing. What Pete Doherty says when he talks is not always understandable but luckily when he sings he can find the right words. The music is… well, really cool, it brings the audience back to that beautiful and dirty rock ‘n’ roll and those guitar riffs that remain stuck in your head! They play some of their best old indie anthems like “Can’t Stand Me Now”. They also play more touching songs like “Music When The Lights Go Out” and “What Katie Did”. 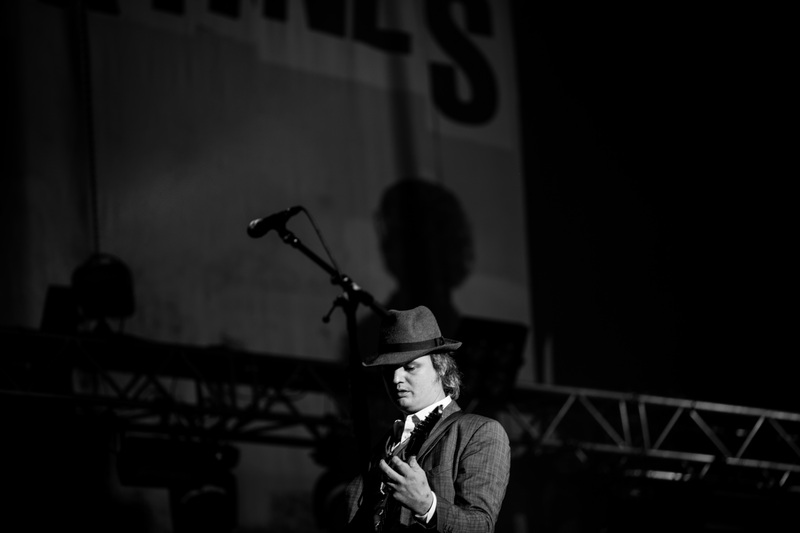 As they come back for an encore, Pete Doherty starts picking the strings of his guitar and sings “your pretty pretty pettycoat”, I imagine it’s a joke directed at The Kooks who are playing just after them in the Tent Stage. Towards the end of the concert during one of the last songs a rebellious girl suddenly jumps up on stage and runs in front of the band and then back behind the drummer before she’s plucked to the ground and caught by some security guys. I wonder what they did of her… rock n’ roll until the very end! I’m not really up to date with The Kooks last album but what I heard live sounds cool, different than their early more indie-rock tunes and more mixed with other music influences but still great! They are cool with the audience. They play “Seaside”, one of my personal favourites by the way, and everybody sings along to it. They also play some good old ones like “Naive” and “Shine On” for which the crowd transforms itself into a chorus. I think live they have improved, less snob and more down with the public then a few years ago. They also change the rhythm of some of the songs revisiting them for a live version. More posh if compared to indie-rock bands like The Libertines who played just before but they manage to entertain the audience just as well!